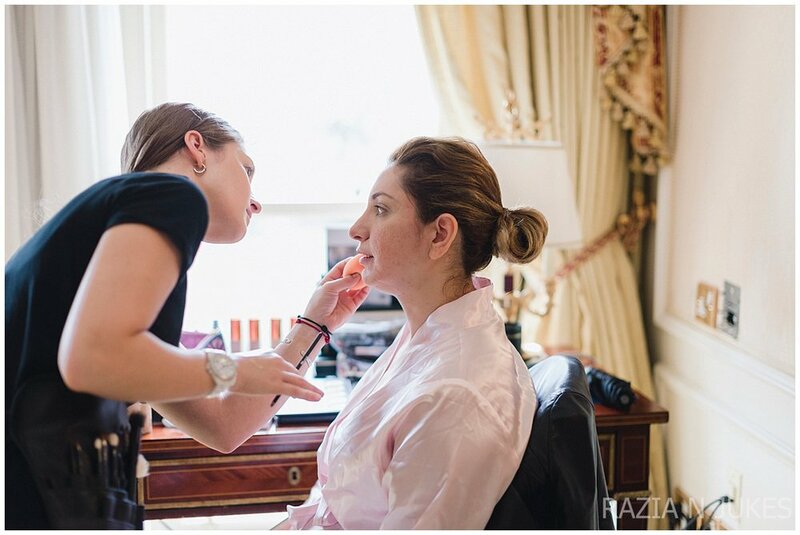 I'm so excited to share with you Dina and David's wedding which was held in London at the Millennium Hotel. It was a beautiful fusion of Iraqi and English culture. Dina and David have been together for 3 years. They chose the Millennium because they loved the bright feel and the indoor palm trees. Dina is originally from Iraq and the the palm trees have a middle eastern feel. "It looks like an oasis" she told me. Dina and David had a grand sparklers entrance accompanied by beating drums and dancers. They made their way to the dance floor where all the guests joined them. I have never seen so much dancing at a wedding before. 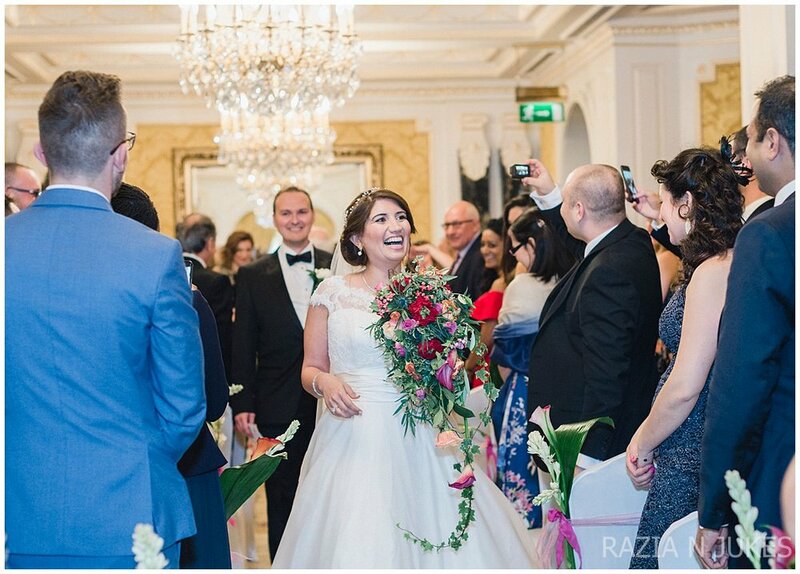 From the moment they entered the reception to the last song played by the DJ the dancing continued non stop. It was a wonderful celebration of love and joy. 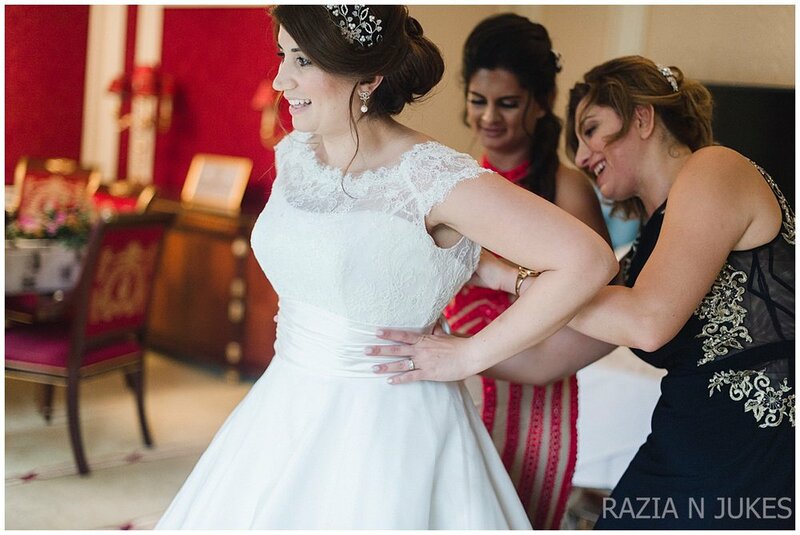 Dina's stunning dress was from Sassi Holford in Chelsea. She looked absolutely beautiful and radiant. The dress was a romantic design featuring a corded lace with beaded edge and a gorgeous satin organza overlay. She also wore a beautiful delicate garland bespoke headpiece by Hermione Harbutt. 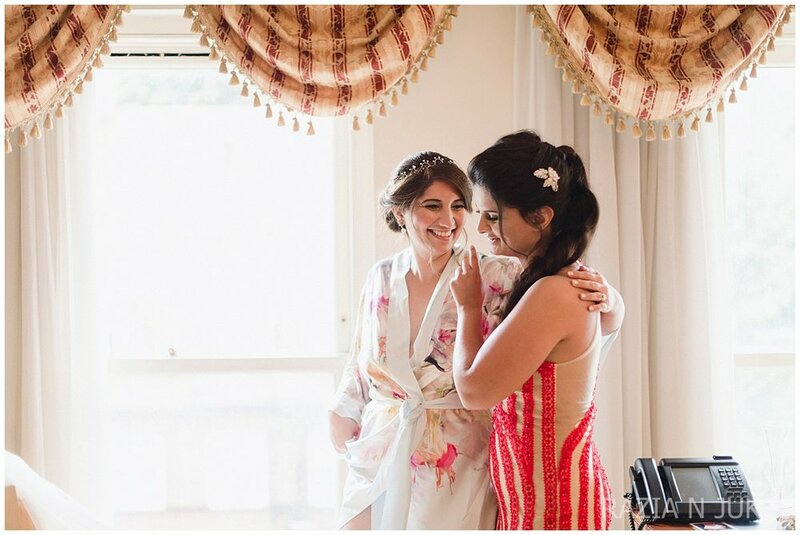 I loved Dina's bouquet. 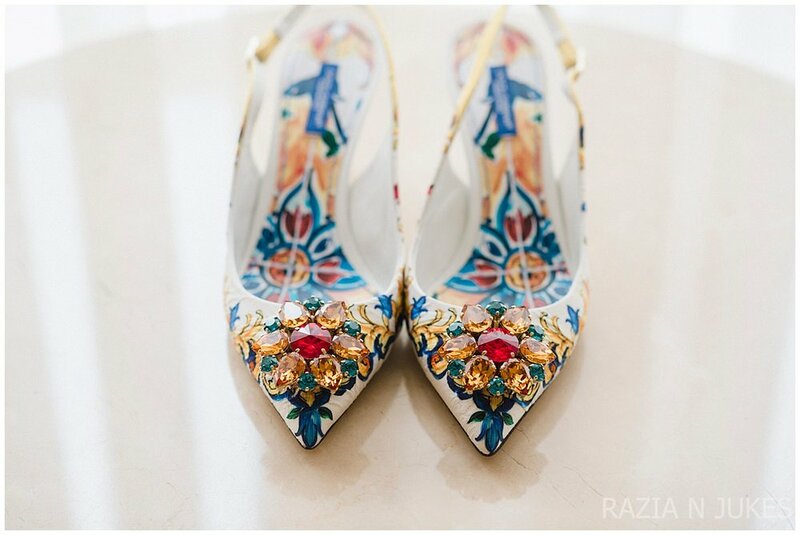 A elegant colourful bouquet that echoed the colours in her incredible shoes and those shoes were incredible! You will see what I mean when you see the pictures! 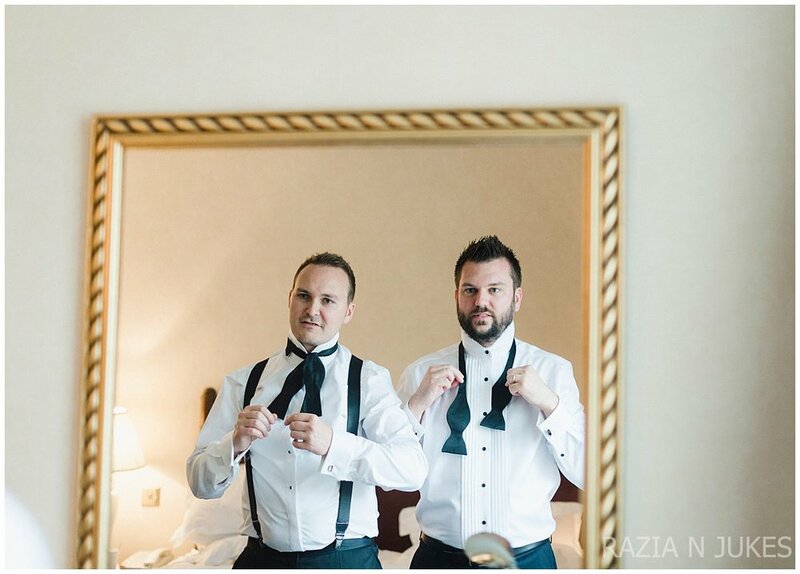 David wore a classic black tux by Hugo Boss with a black bow tie.